The most prestigious architects of the world met in Peru in November will be given to sign the so-called “Letter of Caral”, in which the environmental commitment of the professional association will be captured, yet it will affect the need for our country to have a land use law. “Caral is the best example of a city that grew up neatly. This is demonstrated by the remains found to account for a civilization that developed through a relationship between the heights of the hills with the pyramids. That shows that there was a cosmic vision how to organize cities depending on weather and climate, “noted dean of the Architects Association of Peru José Arispe Chavez. He argued that the basis of how it was built in the Valley of Caral, are a contribution to humanity for earthquake-resistant buildings in cities and countries highly vulnerable as ours, so it is necessary to recover these technologies for more sustainable and safer cities. Indeed, a technical mission of the College of Architects recently visited the Sacred City of Caral in Supe, where a civilization developed 5,000 years ago, and which are a series of pyramids and temples, as well as an amphitheater that has amazing acoustics where a series of musical instruments such as transverse flutes, horns and flutes made from animal bones were discovered. Therefore, for the signing of the Letter of Caral is planning to conduct a concert at the anfiteatro with 70 Peruvian musicians. The technical team was led by Chavez and also participated Arispe archaeologist Francisco Vallejo and coach Dino Excavation Areas Agurto. The signing of this document will take place during a meeting of the professionals of architecture, to be held on 7, 8 and 9 November in the Sacred Valley of Caral. “They will come to Lima two thousand of the best architects, of all places in the world have developed ancient cultures to contribute their ideas and proposals, review your options and compare them with ours and incorporate them into our reality, with the aim to improve the quality of life of citizens, “said Arispe. He added that this meeting is already compromised the International Union of Architects and the Pan American Federation of Architects. “This will be the conjunction of all the aspects that have to do with the fate of mankind and is the best opportunity to show the world what Caral. This meeting will give some ground rules for the market does not work to their own devices and not think only of economic profitability but also on the social what will ensure sustainable cities and a better quality of life profitability, “he said. In this regard, he added that “with proposals for governance and cooperation and environmental stewardship hopefully the rules and laws that ensure this situation den”. 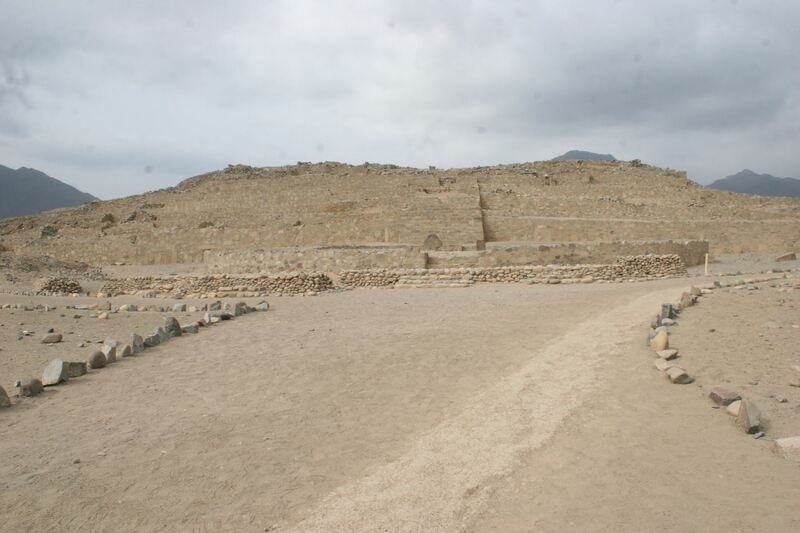 The work of excavation and research in Caral were initiated since 1994. Currently working at the site 15 19 architects and archaeologists.